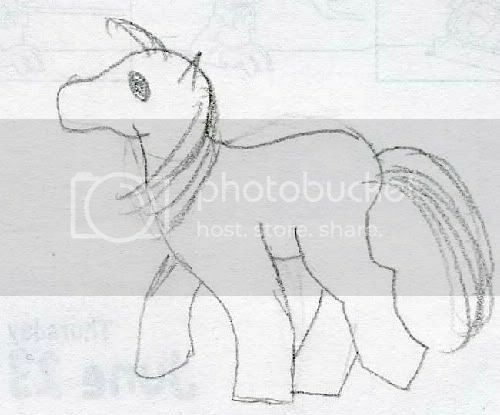 This is how I draw ponies. It is the circle method. 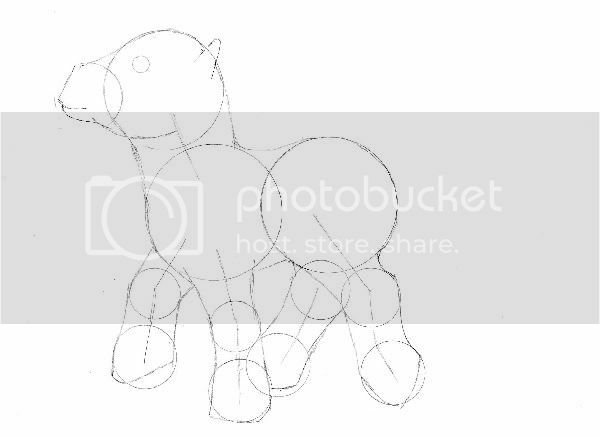 I use a multitude of circles to try to get the pony's proportions drawn out. Other people have different styles and methods. Whatever works for each person is good. And maybe one person could find out multiple methods. The point is to have fun. Before I get into the pictures, allow me to give you a small college-esque lecture. I'll speak a little (only a little) about a book I bought called "Drawing Horses" by Don Mayne. He uses the RIDE technique. 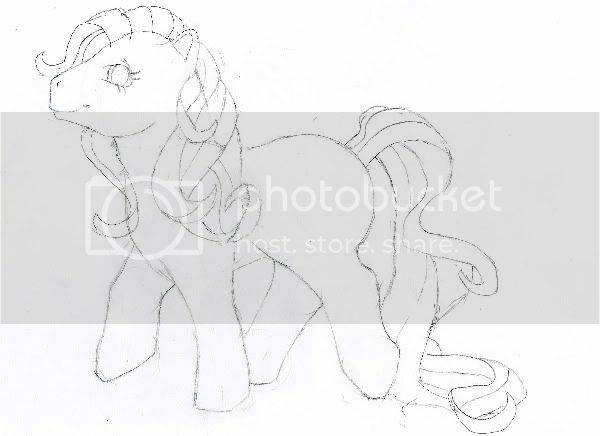 R = Rough out your sketch lightly in pencil. I = Improve your pencil sketch as needed. D = Draw over the final lines in ink. E = Erase all pencil marks completely. People aren't afraid of drawing as much as they are afraid to make mistakes. Forget about making mistakes, they don't matter! Yes, it can be frustrating when you try to draw something but doesn't come out right. But those are not mistakes, those are opportunities to learn something. 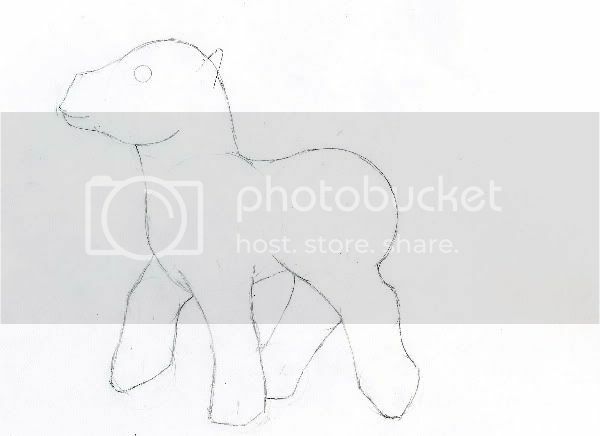 If you can see that the legs are too short, for example, then next time you'll sketch them a little longer. See? You learned something. Remember, if you really like something you drew, then it doesn't matter what anybody else thinks of it. Drawing to please yourself is the most fun of all. Since I'm often uninspired about poses and such, I used Miss Nightglider to be my model. Isn't she lovely, folks? And she works for peanuts. I%20find%20that%20making%20a%20thumbnail%20sketch%20of%20your%20drawing%20is%20helpful.%20It%20gives%20you%20an%20idea%20of%20pose%20and%20background%20(if%20any)%20when%20you%20get%20started.%20It%20is%20not%20required%20to%20look%20all%20professional%20or%20anything,%20just%20a%20quick%20sketch%20for%20guidance. I%20will%20also%20look%20at%20pictures%20of%20real%20horses%20or%20horse%20paintings%20to%20get%20an%20idea%20for%20proportion%20and%20position. My%20next%20step%20is%20to%20get%20my%20drawing%20paper%20(I%20used%20card%20stock%20so%20the%20paper%20will%20survive%20any%20constant%20erasing%20I%20do).%20I%20use%20a%20clicky%20pencil%20(0.5%20lead),%20a%20white%20eraser%20rectangle%20thingy,%20a%20circle%20template%20(not%20required,%20but%20can%20be%20helpful),%20and%20the%20finest%20tipped%20permenant%20marker%20I%20could%20find%20(for%20later%20use).%20I%20also%20try%20to%20draw%20lightly%20because%20there%20will%20be%20some%20erasing. 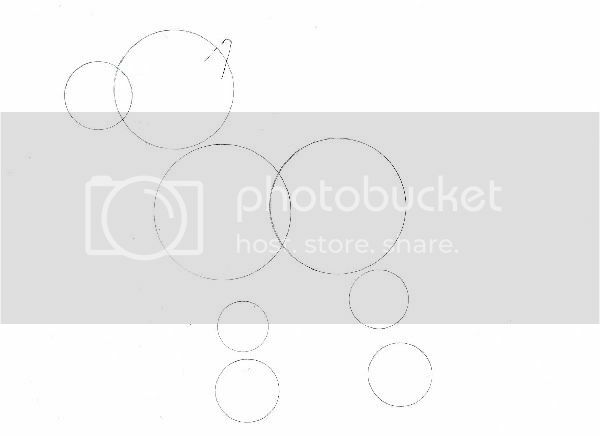 I%20use%20larger%20circles%20for%20the%20body.%20Sometimes%20the%20\"chest\"%20circle%20is%20larger%20than%20the%20\"bum\"%20circle,%20but%20I%20guess%20it%20all%20depends%20on%20the%20pony%20and%20the%20position. 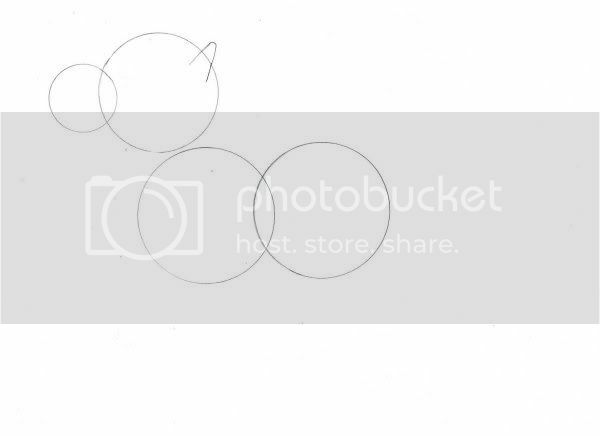 I%20then%20draw%20a%20circle%20to%20show%20where%20the%20head%20goes,%20and%20then%20a%20smaller%20circle%20for%20the%20pony's%20muzzle.%20These%20circles%20usually%20overlap.%20I%20put%20in%20the%20triangle%20for%20the%20ear. 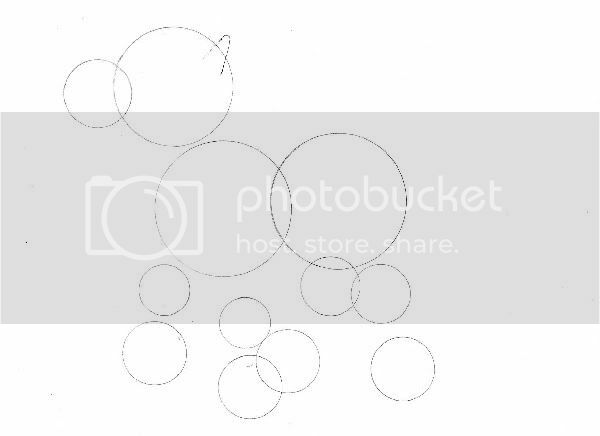 Next,%20I%20draw%20circles%20to%20show%20where%20I%20want%20her%20legs%20to%20go%20(I%20usually%20draw%20the%20legs%20that%20are%20\"towards\"%20me%20first,%20then%20her%20legs%20on%20the%20other%20side%20second.) And%20then%20the%20other%20legs. 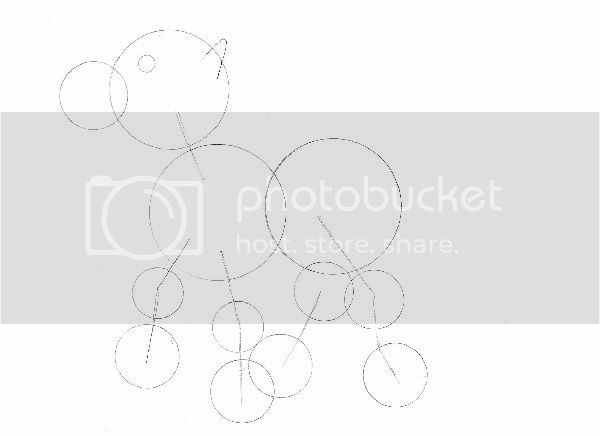 After%20I%20draw%20the%20circles,%20I%20find%20drawing%20a%20few%20lines%20where%20the%20legs%20and%20neck%20go%20really%20helps.%20I%20also%20made%20a%20small%20circle%20approximately%20where%20the%20eye%20will%20be. This%20is%20where%20I%20really%20start%20adding%20flesh%20to%20the%20pony.%20I%20don't%20follow%20the%20curves%20of%20the%20circles%20completely,%20they%20are%20just%20a%20guide.%20 Now,%20with%20all%20the%20lines%20and%20circles%20and%20things,%20the%20drawing%20gets%20really%20busy%20and%20sometimes%20confusing.%20I%20take%20a%20little%20time,%20and%20a%20lot%20of%20caution,%20to%20erase%20some%20of%20the%20circles%20without%20erasing%20the%20outline.%20Not%20easy,%20but%20it%20makes%20it%20easier%20to%20work%20with%20(at%20least%20for%20me). Now%20comes%20some%20more%20fun%20stuff.%20I%20add%20hair.%20You%20can%20pretty%20much%20make%20the%20hair%20do%20whatever%20you%20want.%20It%20can%20be%20straight,%20wavy,%20curly,%20ringlets.%20Relaxed,%20frizzy,%20windblown,%20however%20you%20desire.%20I%20also%20made%20the%20eye%20more%20interesting.%20Not%20completed,%20but%20getting%20there.%20I%20also%20adjusted%20the%20muzzle%20as%20I%20thought%20it%20looked%20a%20little%20long.%20Gave%20her%20a%20smile,%20too.%20All%20throughout%20the%20drawing%20process%20I%20tweak%20it%20here%20and%20there%20to%20get%20it%20\"just%20so.\" You%20can%20see%20the%20neck%20line%20and%20the%20hair%20lines%20overlap.%20I%20usually%20leave%20it%20that%20way%20until%20it%20get%20inked,%20as%20it%20is%20a%20delicate%20operation%20to%20try%20to%20erase%20those%20small%20areas. I've%20now%20inked%20it,%20and%20even%20added%20a%20ribbon%20to%20her%20tail%20to%20give%20a%20real%20sweet%20touch.%20Added%20even%20more%20definition%20to%20the%20eye%20and%20darkened%20in%20the%20pupil. And%20here%20is%20the%20final%20product.%20I%20let%20the%20ink%20dry%20for%20a%20few%20minutes%20and%20then%20took%20my%20big%20eraser%20and%20got%20rid%20of%20all%20the%20pencil%20lines. Viola!%20She%20is%20done.%20I've%20since%20colored%20her%20in%20on%20my%20Paint%20Shop%20Pro.%20 Here%20is%20Fireweed,%20the%20drawing%20I%20just%20did%20all%20colored%20in.%20:)%20 Now,%20before%20I%20finish%20up,%20I'll%20borrow%20some%20of%20the%20words%20and%20pics%20from%20the%20aforementioned%20book.%20Only%20two%20pictures. When%20a%20pony's%20body%20moves,%20the%20basic%20shapes%20in%20its%20body%20moves%20too.%20Using%20those%20two%20circles%20to%20position%20the%20pony%20is%20the%20secret%20to%20drawing%20the%20pony%20from%20different%20angles. Think%20of%20two%20oranges%20on%20a%20plate.%20When%20you%20turn%20the%20plate,%20one%20orange%20appears%20to%20move%20in%20front%20of%20the%20other. Well%20the%20same%20thing%20happens%20when%20you%20turn%20a%20pony.%20From%20the%20front%20or%20the%20back,%20you'll%20see%20the%20two%20circles%20overlap. 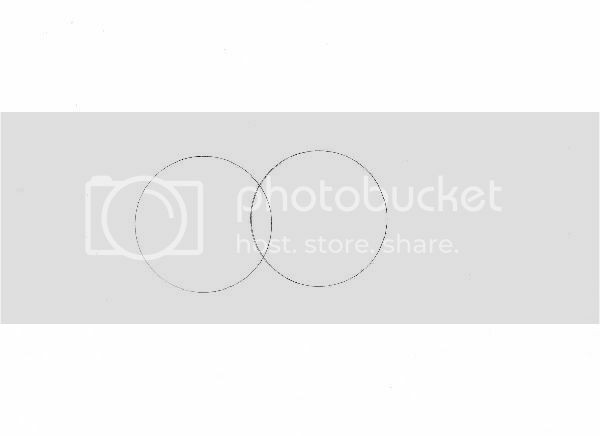 No%20matter%20what%20angle%20you%20want%20to%20draw,%20start%20by%20figuring%20out%20how%20the%20circles%20will%20be%20positioned! If anyone else finds links to similar tutorials, please post it. If any of you seasoned artists have more tips, please feel free to share. Thank you and happy drawing! How To : Art Coloring Tutorial! 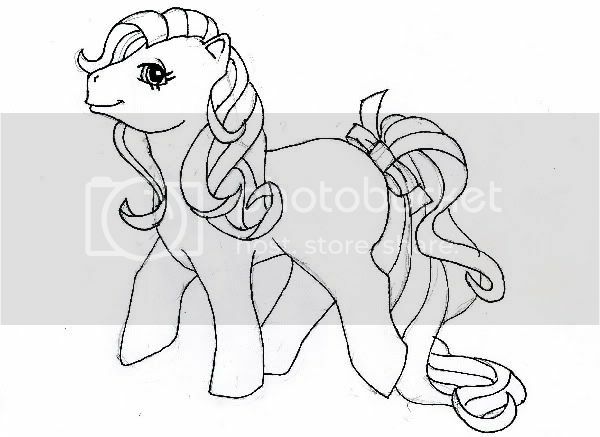 Here's the finished pony. Can you guess who she is? 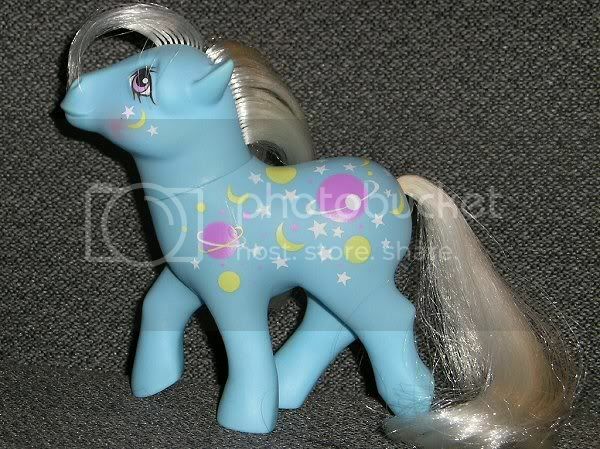 It's Starswirl! To color the Black lines, make a new layer, with you Magic Wand, select the black lines and color the lines (any color you want) on your new layer. 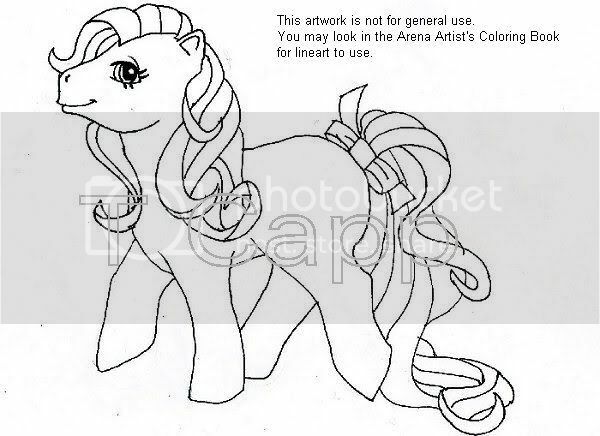 If you want to change the black outlines to match closer to the pony's body and hair color, you can use the replace color function and change black into the color of your choice, probably a few shades darker than the body and hair. Here are some good tutorials for you to try out.